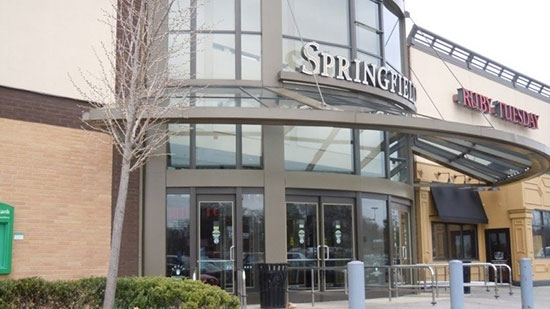 Police were at the Springfield Mall in Delaware County after there were reports of gunfire early Saturday afternoon, 10/20. It happened in a parking lot near Baltimore Pike around 1 p.m. Two groups of males had been arguing inside the mall and took the altercation outside. That is when several shots were fired. No one was injured. A few vehicles were hit by shots. The mall was briefly put on lockdown following the incident. It was then evacuated as a precaution. "The shooter(s) fled the scene. There are no injuries. There is NO active shooter situation at the Mall," says John McBlain, the Delaware County council chairman. Springfield Police are continuing to investigate. Many longtime Delaware County and Springfield Township residents have been reminded of October 30, 1985. That is when Sylvia Seegrist opened fire at the Springfield Mall. She killed 2 men and a 2-year-old child while injuring at least 8 others. That was almost 33 years ago. A 59-year-old man has been arrested for causing a devastating fire that killed his elderly mother and her male companion in Browns Mills, New Jersey, earlier this week. Kurt Smith is charged with two counts of aggravated manslaughter (first-degree) and one count of arson (third-degree). The fire started around 8:30 p.m. on October 16th on the 500 block of Willow Boulevard in Pemberton Township, Burlington County. Investigators determined that Smith was in the garage with two other people. He lit flammable material with a lighter and was unable to put it out. The fire quickly spread to the rest of the house. Smith, who lives at the house, suffered smoke inhalation and was flown to Temple University hospital. His 92-year-old mother Lore Smith and her companion 92-year-old George Pikunis were killed by the fire. Smith will be taken into custody by the Philadelphia Police when he is discharged by the hospital and then extradited to New Jersey. Pennsylvania Governor Tom Wolf signed a 'long overdue' anti-hazing bill on Friday, 10/19. The bill is named after 19-year-old Penn State student Timothy Piazza who died following a night of heavy drinking that led to injurious falls after a pledging ritual inside the Beta Theta Pi house in Feb. 2017. The new law defines hazing as conditioning acceptance into a group on breaking the law; consuming food, booze or drugs that put someone in emotional or physical harm; brutality of a sexual nature; putting them through whipping, beating, branding, calisthenics or exposure to severe weather; or sleep deprivation, "exclusion from social conduct" or extreme embarrassment. There are tiers for severity of the hazing ranging from misdemeanor to felony. There is also a "safe harbor" provision that insulates someone from prosecution if they are seeking help for a victim of hazing. Piazza would have had a better chance at surviving if someone had called for help at some point overnight, instead he was left on his own until the next morning when it was too late. High Schools, Colleges, and Universities must adopt anti-hazing policies and report any incidents.